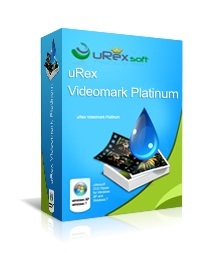 uRex Videomark Platinum is a great solution to easily add video watermark. Users are allowed to insert text, image and shape watermark into a video effortlessly. uRex Videomark Platinum provides simple operation, friendly interface, high speed process and batch mode to users. That means you can fast add video watermark with a few clicks. Now, tell your audiences that you made and own the video.